Giveaway: Win My Style Book! I have some very exciting news for all of you–especially those of you who live in the UK… My book, Style, will be available in paperback on September 15th in the UK! So what’s the big deal? The new paperback format is sized to fit perfectly into your handbag. Sweet. Now you can take my insider tips with you anywhere. Learn how to create your perfect wardrobe, cultivate your own personal style, buy vintage, pack for trips, and lots more! With Style as your guide, you will have the key to chic in the palms of your hands (or your handbag at least). 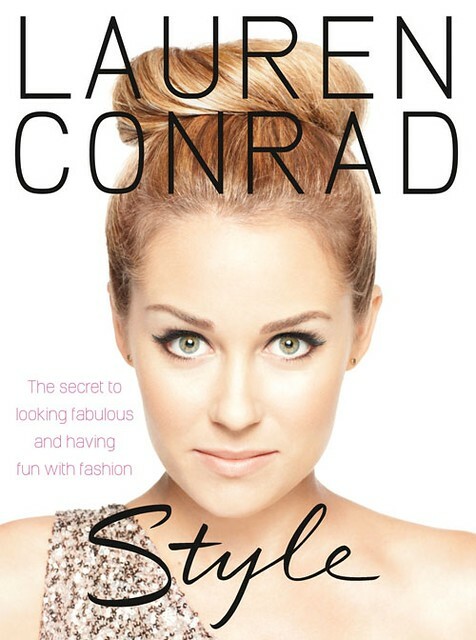 To celebrate the upcoming UK paperback release of Style, I am giving away 15 copies of the new paperback edition to 15 lucky LaurenConrad.com members! NOTE: This giveaway is open to everyone! Buddy Up. Get 1 friend to sign up for LaurenConrad.com. Click here to learn how to sign up. Wait. Sit back and relax. I will announce the 15 winners on Thursday, September 15th. And if you just can’t wait, click here to pre-order your advance copy of Style in paperback! P.S. Click here to watch an exclusive behind-the-scenes video on my photo shoot for Style! Giveaway: Happy Birthday to Us!